Thanks to an influential uncle, Ken Seibert and his older brother, Tim, were introduced to consulting engineering while they were still in high school. In fact, both were employed as electrical drafters in a Louisville engineering firm before they graduated. When it came time to choose a college where they would pursue an engineering education, Tim went into electrical engineering at the University of Louisville. Ken ventured outside the borders of Jefferson County and chose mechanical engineering at the University of Kentucky, graduating in 1983. While he was still at UK, Mr. Seibert joined CMTA Inc., where he has not only spent the last 34 years, but took over as its president in 2007. CMTA is the largest mechanical, electrical and plumbing consulting firm in Kentucky and a top 60 firm in North America. Under Mr. Seibert’s leadership, CMTA transitioned from a regional to a national engineering firm that now designs projects in 42 states. 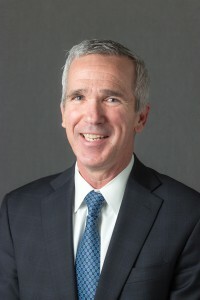 CMTA has earned a national reputation thanks to Mr. Seibert’s strategic direction for the firm, which focuses on designing energy efficient buildings that leave a smaller carbon footprint on the environment. The firm has engineered 126 ENERGY STAR® buildings and 35 LEED® (Leadership in Energy & Environmental Design) projects, incorporating high performance design strategies into all of its building projects. In 2008, CMTA designed a school building able to generate all of the energy it needs through renewable systems on site. It became the first Net Zero Energy school in the country. CMTA is now the national leader in Net Zero Energy buildings and has completed nine of them. An “ambassador for energy efficiency,” Mr. Seibert presents at national conferences and symposiums and publishes articles on the subject of high performance, sustainable buildings. In 2009, Governor Steve Beshear presented Mr. Seibert with the Governor’s Energy Leadership Award. The award “recognizes leaders from public and private sectors who have made outstanding contributions in Kentucky’s energy field by promoting and utilizing energy efficiency and alternative energy resources as a way to achieve sustainability goals.” He was also named the 2008 Planner of the Year by the Kentucky Chapter of the Council for Educational Facilities Planners International. Mr. Seibert is a licensed professional engineer and a LEED® accredited professional. In addition he is a member of the U.S. Green Building Council, the American Society of Heating, Refrigerating and Air-Conditioning Engineers (ASHRAE) and is on ASHRAE’s editorial board. Mr. Seibert also serves on the UK College of Engineering dean’s advisory council. In 2007, Mr. Seibert’s wife, Kim, passed away due to a form of lung cancer that mostly affects non-smokers like herself. With the financial support of friends and family, Mr. Seibert raised $100,000 to create the Kim Massengill Seibert Memorial Fund Award. In 2009, Uniting Against Lung Cancer gave the award to Dr. Esther Black in the UK Department of Pharmaceutical Sciences in the College of Pharmacy to further her drug-resistant tumor research. Mr. Seibert lives in Prospect, Ky., with his wife, Rebekah. They have four children, Carter, Jack, Ethan and Lilli.